Please share some of your background. I am a former Navy SEAL and the author of the new political/military thriller, The Terminal List. My mom was a librarian so I grew up surrounded by books, and was always reading and loving books in this genre. In junior high and high school I devoured anything by David Morrell, Nelson DeMille, Tom Clancy, and J.C. Pollock. In college I discovered Stephen Hunter and continue to eagerly await each new book in the Bob Lee Swagger series. 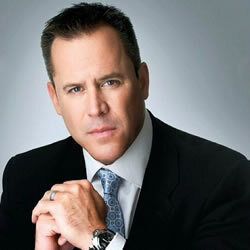 While I was in the military I found Daniel Silva, Brad Thor and, of course, Vince Flynn. From a very early age I knew I wanted to do two things: (1) serve my country in the military and (2) write thrillers. As my time in the SEAL Teams was nearing its end, I decided it was time to pursue my dream and passion for writing. The result is The Terminal List. I first started reading Vince Flynn with Term Limits, which is Vince’s first book and the only one that does not feature Mitch Rapp. I started reading it not too long after September 11th, on my way overseas. At the time, I was reading mostly non-fiction that focused on the area of the world in which we were to be engaged for the next sixteen-plus years - the history, the geography, the politics, the religion, and the lessons learned from other military ventures into that territory, namely from the British and the former Soviets, but I did manage to escape into fiction whenever I could. Vince’s books were constant companions during a very formative time in my life as a SEAL leading special operations forces into combat and also on the home front when I was able to take leave. Vince’s books were my go-to reads throughout my time in the Teams. I love Term Limits, maybe because it’s Vince’s first book and definitely because it was a new and refreshing take on the political thriller. Vince blazed the path for a new generation of thriller writers - a true master of the craft. I was already a SEAL at the time so I immediately identified with Scott Coleman. Vince also captured the sleazy side of the political machine in such a visceral way that it remains one of the best books in the genre even twenty years after publication. I was fortunate to meet Vince at SHOT Show in Las Vegas many years ago. SHOT Show is an industry show that showcases all the new guns and gear, so I was there exploring new technologies that might give my team an edge downrange. Vince was there as well, and I was able to meet him as the show was closing down for the day, so we were able to visit for quite a while. It was obvious that I was a huge fan, and he could not have been more generous with his time. Interestingly enough, I did not tell him I wanted to be a writer one day, as I figured he heard that from people all the time and I still had a lot more time in the military before I could start down the writer’s path. Instead we talked about Term Limits. I remember asking him if he ever worried that someone in special operations might be inspired by his work to put politicians on notice in the way he does in the book. I still remember his response all these years later. “Everyday,” he said. I, of course, love Scott Coleman because we share the same lineage as SEALs, but I’m also drawn to the character of Michael O’Rourke because of the complex nature of the moral dilemmas he faces in Term Limits and because of the decisions he ultimately makes in that regard. But, I’m sure I’m in the same boat as legions of fans when I say Mitch Rapp is far and away my favorite character. I’ll never forget reading the first chapter of Transfer of Power, the book and chapter that introduced the world to Mitch Rapp. Though written before the events of September 11th, I read it following that terrible day, a day that changed the course of my life and the history of our country. Mitch Rapp became the new hero in what would be termed the War on Terror, and, although a fictional character, actually became the face of the conflict for many Americans, the face of a young, aggressive, intelligent CIA operative solely focused on protecting America at all costs. He was a timely hero in a new war and remains a source of inspiration for those who want to bring the fight to the enemy and protect the homeland. It would have to be Mitch Rapp. 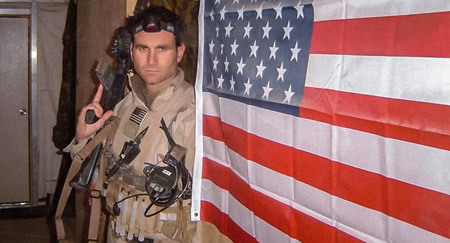 He was able to do in a fictional sense the things those of us that join the ranks of special operations sign up to do. We all aspire to the highest levels of skill and tactical acumen that Mitch Rapp brings to the fight. Mitch Rapp does what we all came in to do.